Once upon a time there was a little Sock Monster who was famous for his Lemon Meringue Pie recipe. He even taught his technique to Aunt Gnome. The new friends swam and swam and finally reached the lemon tree. It was a thing of beauty and Sock Monster was so grateful to finally find some lemons. 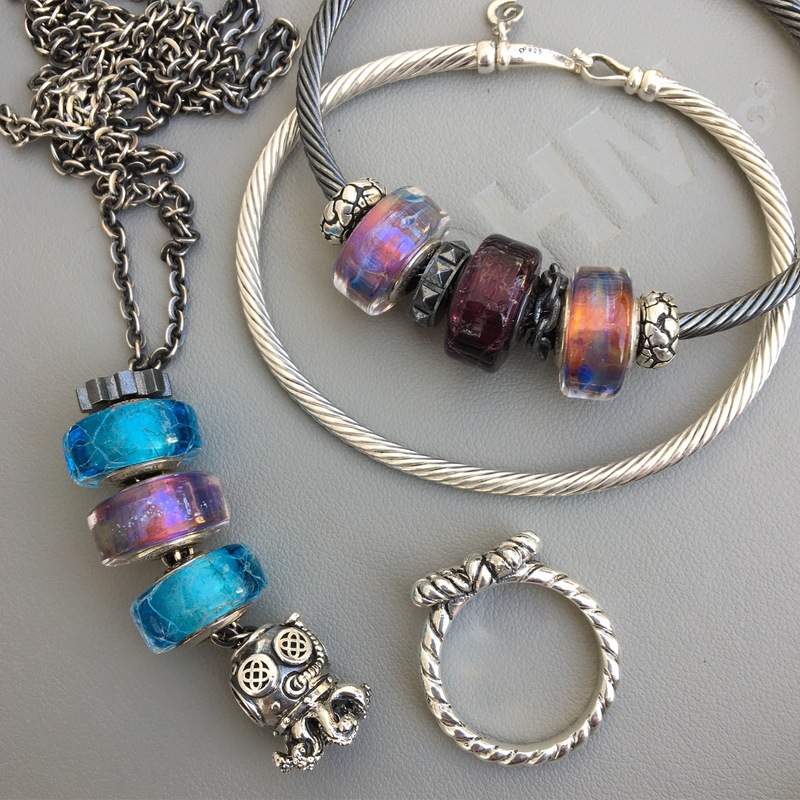 Alright, in all seriousness, Baby Argh ($85 USD) and Lemon, a Limited Edition bead ($35 USD) are quite wonderful. 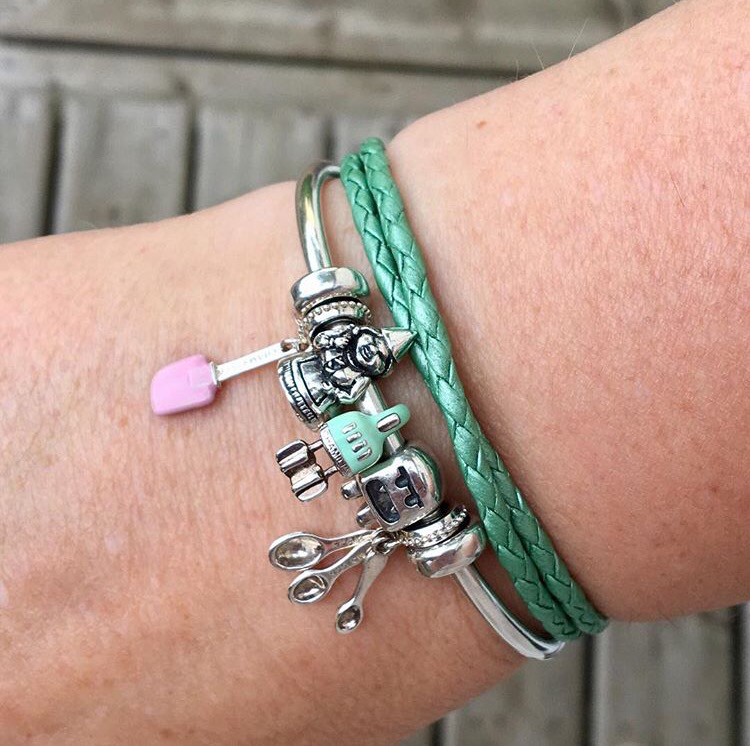 Baby Argh can be worn on the Ball Necklace. 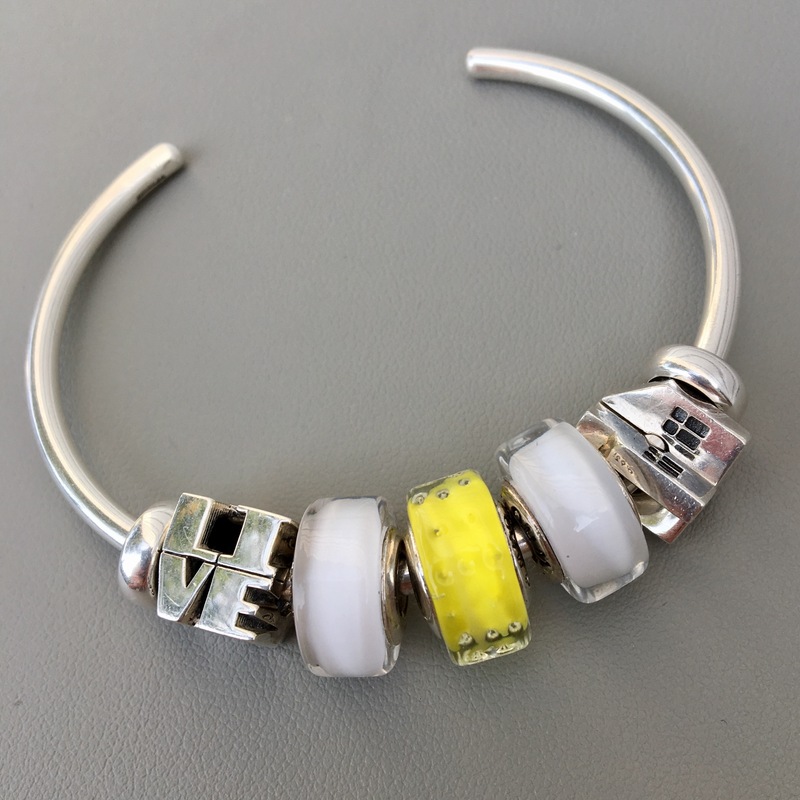 It can be worn on a bracelet or bangle using the holes horizontally. 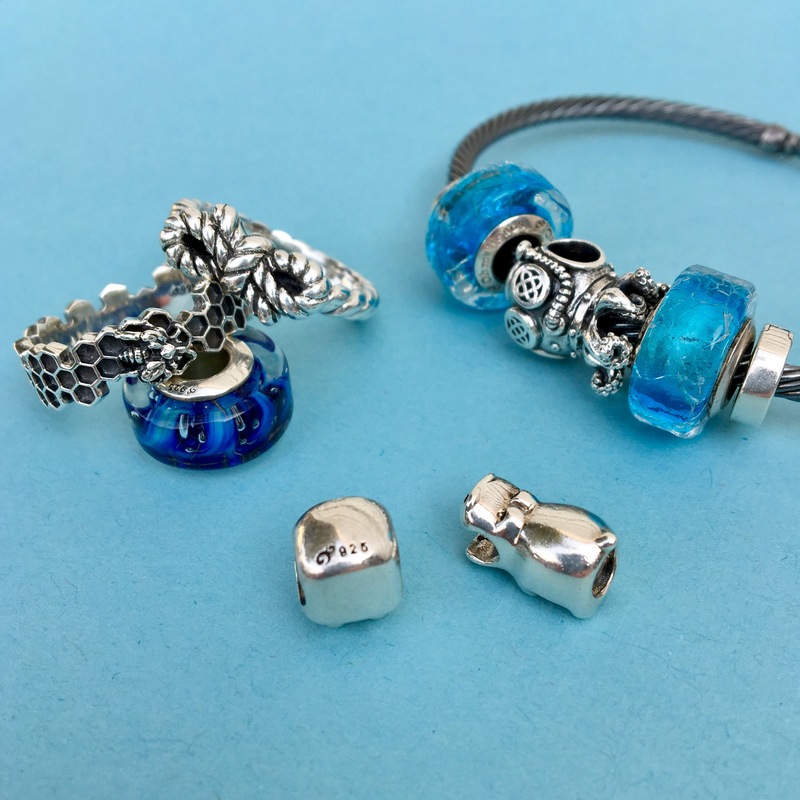 I like to think that the Trollbeads Azure Bubble are actually bubbles that Baby Argh has blown. It works nicely vertically as well. 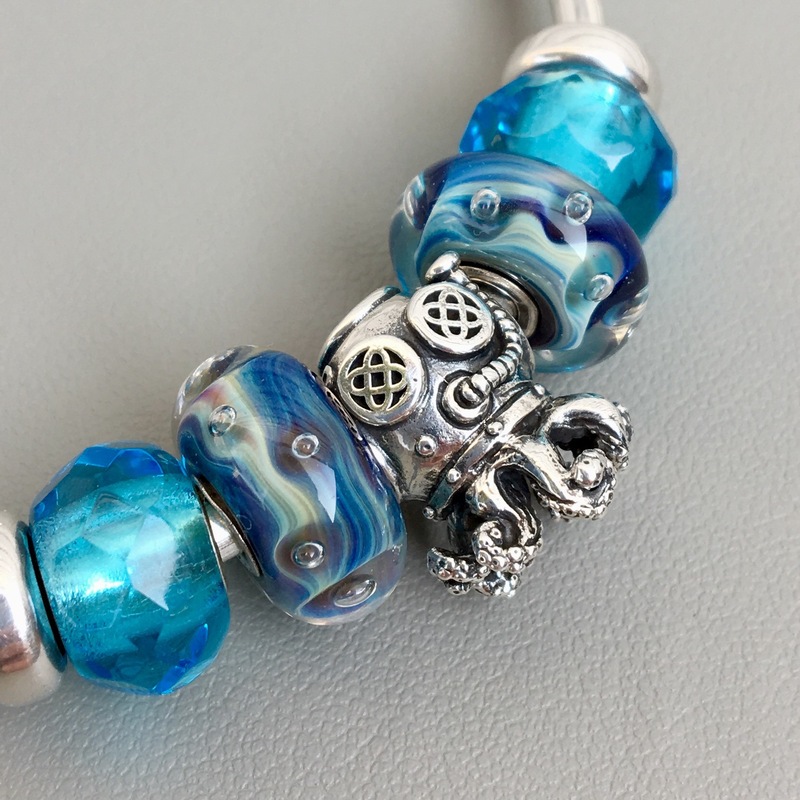 Those are the Ohm Beads Blue Holes on either end and then Trollbeads Seabed Stripe and Turquoise Bubbles. 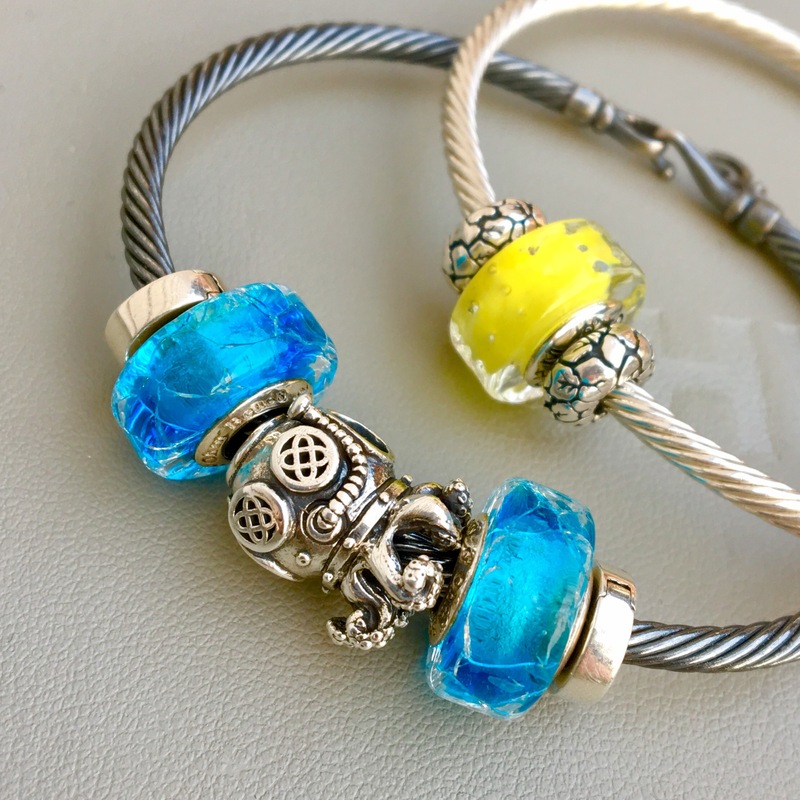 The Lemon bead is really bright and cheery. 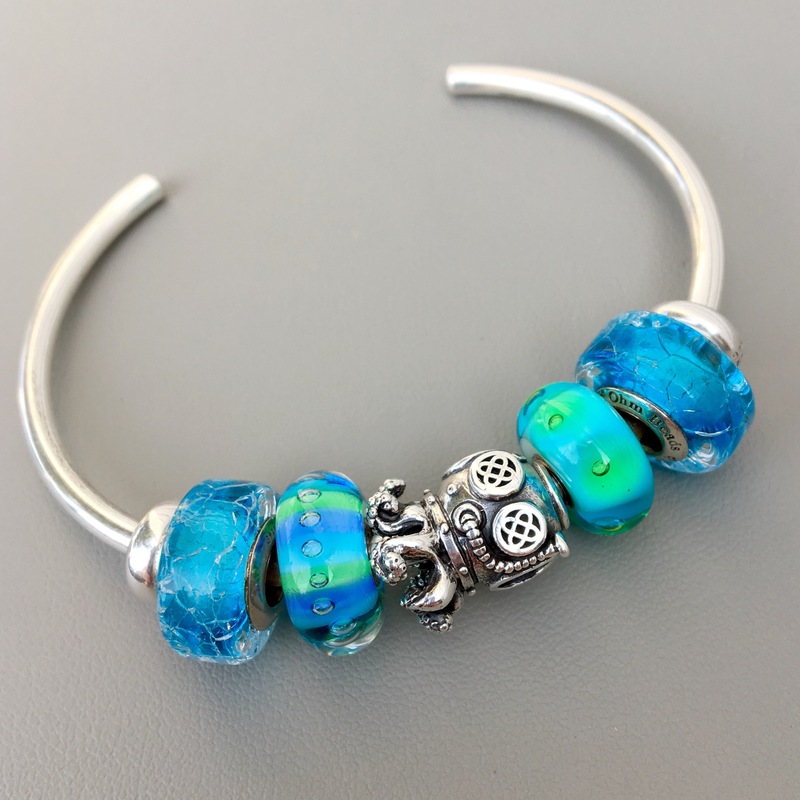 I like it with the white Cold Milk beads, the Ohm Beads Live bead and the Trollbeads House bead. Such a clean look and it makes me think of lemon meringue pie. 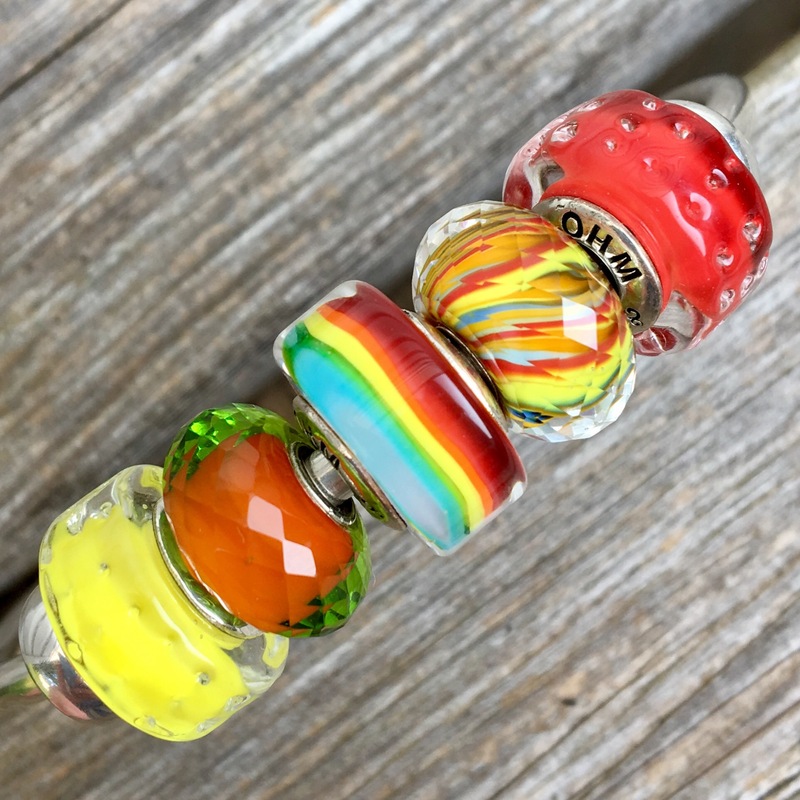 Check it out with the Ohm Beads Rainbowed, Strawberry and two Trollbeads called Masala Facet and River of Life Facet. Finally, here’s a larger bracelet. I love how the Lemon bead matches the yellow bits on Confetti Upchuck. That’s one I should have bought doubles of! 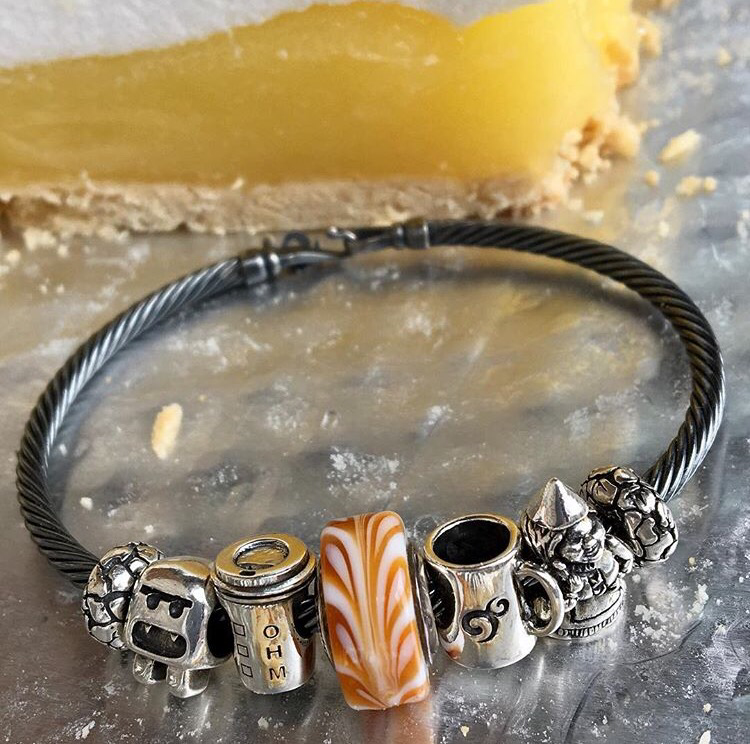 I think I’ll call this bracelet ‘Baby Argh Hosts a Picnic on the Moon.’ I hope everyone enjoyed today’s short story and this look at a couple of ohmsome beads! Disclosure: For this blog I may receive some items as promotional samples and that’s an affiliate ad up above. I have to admire the lengths Sock monster went to in a lemon quest! I also adore lemon meringue pies but am too frightened by the legendary tales of the putridness of hippo breath, that I would quake at the idea of lemons being carried in the mouth of Hippo. He’s a brave and devoted sock-monster-lemon-meringue-pie-baker and my new hero/guru . 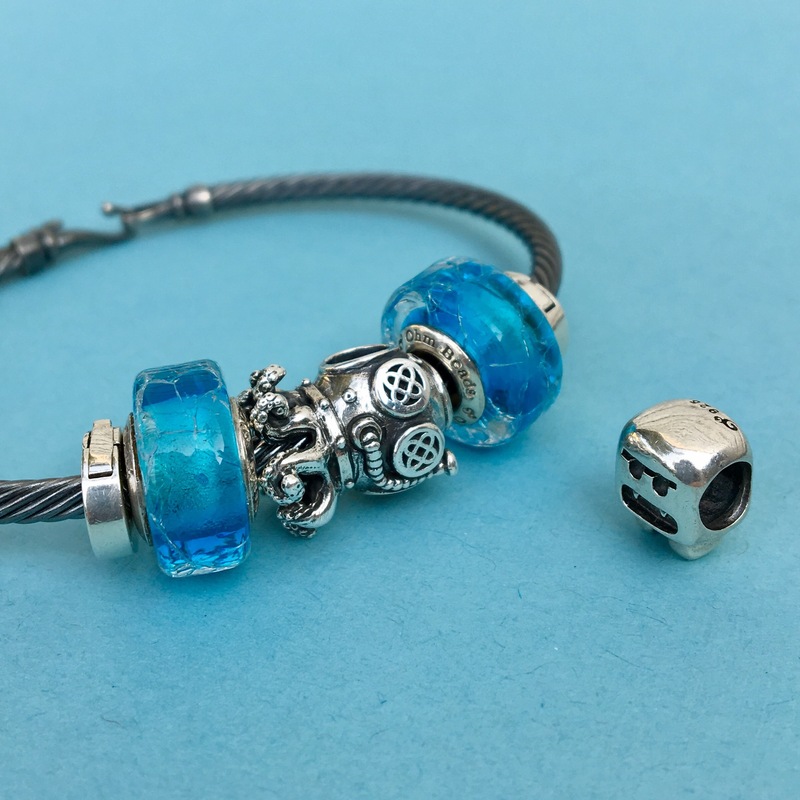 I love the combo of Baby Argh with the Trollbeads Azure Bubbles and the one below with Turquoise Bubbles and Seabed Stripe. Now I must ready myself for work and leave the Land and Sea of Baby Argh. I adore that bead and love all the ways you styled him, and thank-you for a ripping great yarn! I just might have to seek out the Holy Grail of pies myself after work tonight as I am so impressionable. Sarah, you totally crack me up! 😂 It never even occurred to me that Growling Hippo might have putrid breath. I assume Sock Monster washed the lemons, of course. 🤔 Thanks for reading and the amusing comment! Come on Sock Monster….now I’m hungry for lemon meringue pie! My favorite combo with Baby Argh is with the Azure Bubbles. And I’ve learned something today…I was not aware that lemons grew underwater. Now I know! Thank you for brightening my morning, Martha! Now I have to go find that pie…. Suzanne, now I’m hungry for pie too! I really like Baby Argh with the Azure Bubbles also as it’s just such a great theme. 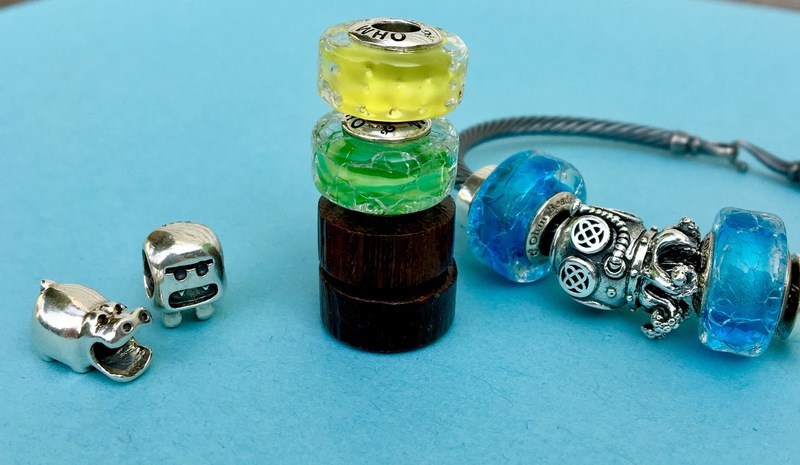 I adore the tiny kitchen utensils, I just discovered OHM beads. Ah! The kitchen utensils are Chamilia, sorry, I should have made that clear. 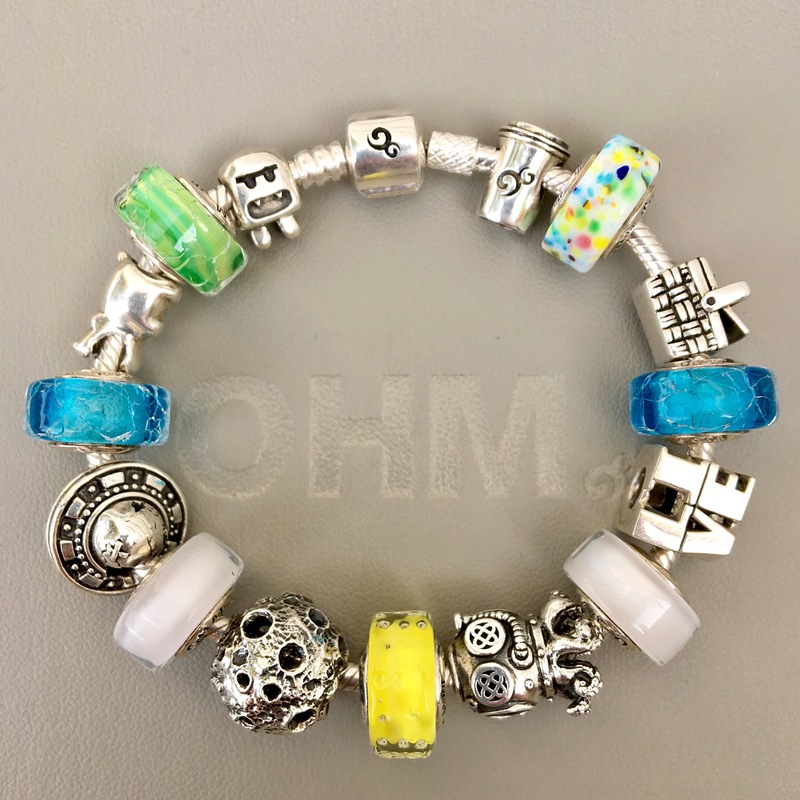 Most everything else is Ohm, though.